The 2018 Optima PHEV and HEV. Being green in a luxurious way. The 2018 Optima Hybrids reduce fuel consumption to maximize mileage. 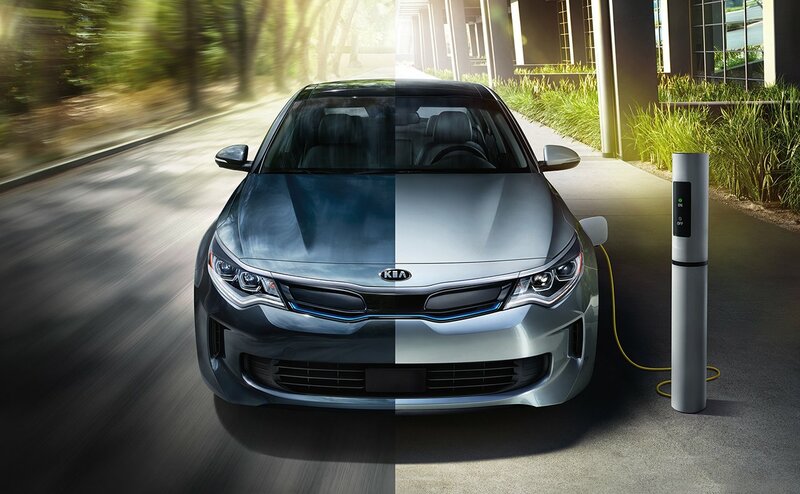 At low driving speeds, the Optima Hybrids use the electric motor. This provides excellent noise reduction and fuel economy.The engine then kicks in at higher speeds and when the vehicle requires extra power such as when on an incline or during quick acceleration. The regenerative braking system captures the energy generated during braking and converts it to be used to recharge the battery. The Optima Hybrids also keeps you updated and informed with its performance. 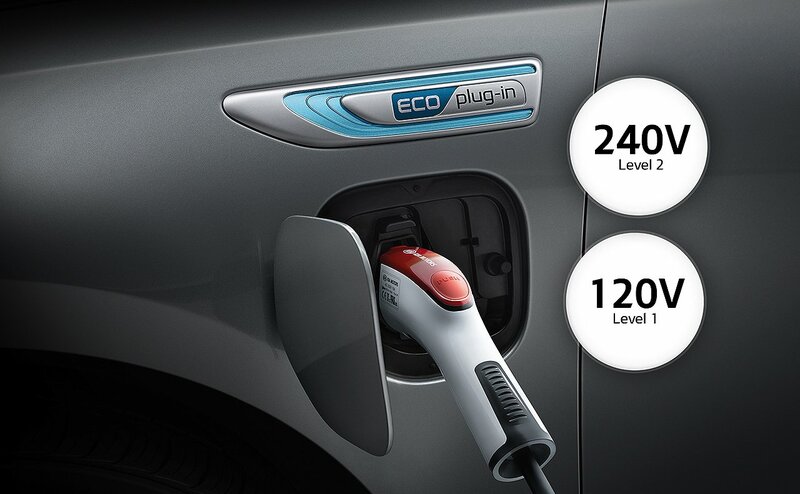 The standard multimedia interface informs you of your fuel economy, your gas or energy usage and much more. The Optima Hybrids also comes loaded with all the newest technology. Standard wireless charging spot allows you an quick and easy access way to keep your smartphone fully charged. The standard multi-angle camera monitoring system provides an overhead view of your vehicle’s surroundings in real-time so you can always see whats going on around you when parking. They also comes with a number a safety features. Active safety features, like electronic stability control, vehicle stability management, electronic brake distribution, hill-start assist control and brake assist all come standard. The 2018 Optima Hybrids provides everything you need. Test drive an Optima Hybrid today at Orillia Kia.